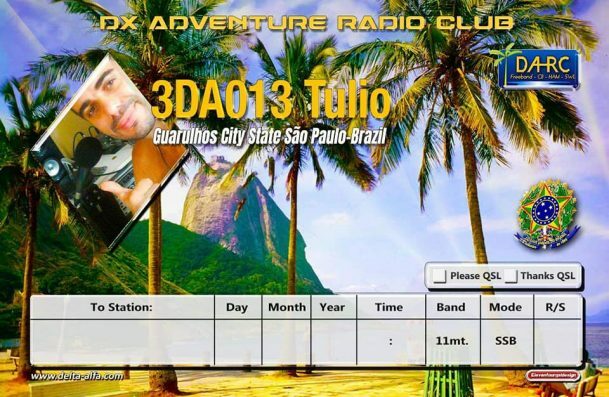 Check out below the outstanding new QSL confirmation card for Dx Adventure Radio Club (DA-RC) member and dedicated DX Hunter 3DA013 Tulio in Brazil. This highly attractive flag card design has been created by 1DA010 Luca from Eleven Four Designs in Italy. As well as the traditional DA-RC logos, banners and slogan, it’s front shows the coat of arms of Tulio’s city in the state of Sao Paulo on the front, emblazoned on the 3 Division flag with feathers of the native Jandaya parakeet in the background. 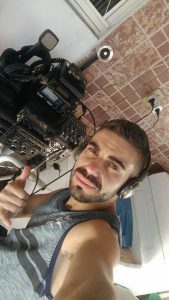 On the back you can see Tulio’s image with a beautiful scene from one of his country’s finest seascapes, along with the standard QSO box and link to the DA-RC website. 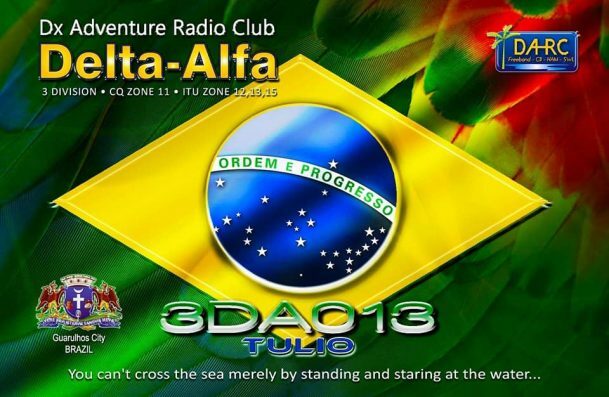 This stylish QSL card is available from Tulio direct, so keep a listen out for him on on the International Call frequency next time the propagation with South America is in to secure your copy!